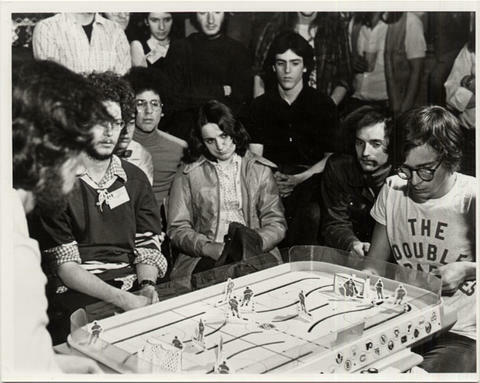 Table hockey championship at Loyola College's Guadagni Lounge. From left to right, Bob Meer (Mtl) and winner Mike Ettinger (from Loyola) are in action. A crowd is surrounding them as they play. The photograph was taken by Paul Hrasko.